I've been slightly obsessed with this weave stitch lately. I've used it in just about everything I've made this season. It's such a simple stitch (dc back loop, dc front loop, repeat), and it has a nice clean look to it. 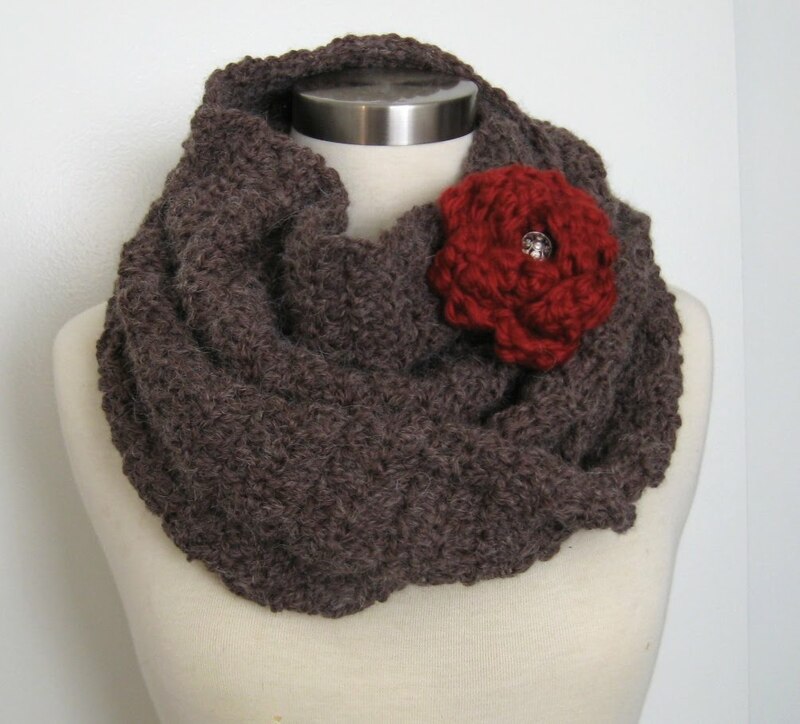 I'm in love with all the Cowls and Infinity Scarfs I've seen this season on Etsy. Even Macy's tried to get in on the action - I passed a limp version of an Infinity Scarf hanging from one of their mannequins. Nothing comes close to the quality products you'll find in the Handmade Market! 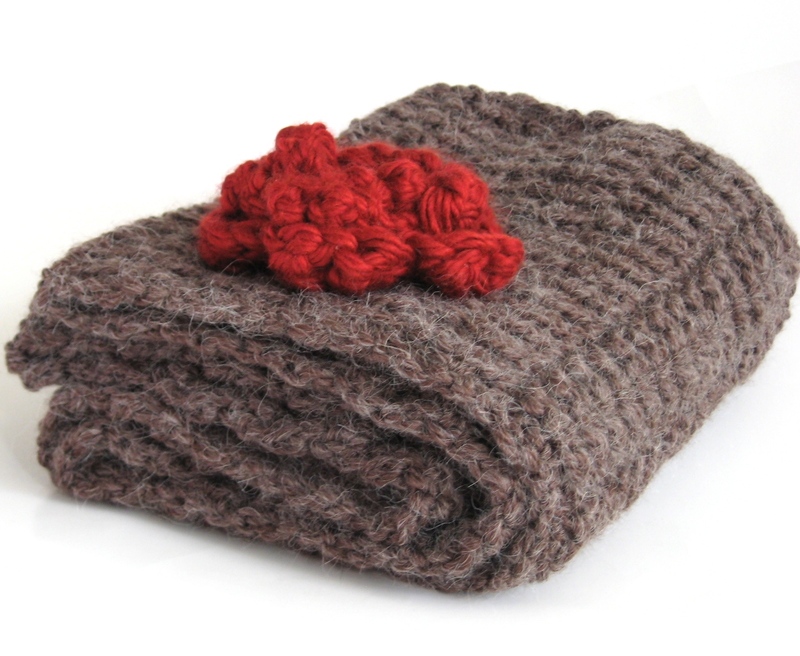 This one is made from 100% Alpaca, and was shipped across the country as a Christmas gift. It was so soft, and warm. I love the rich color, I had a hard time giving it up. 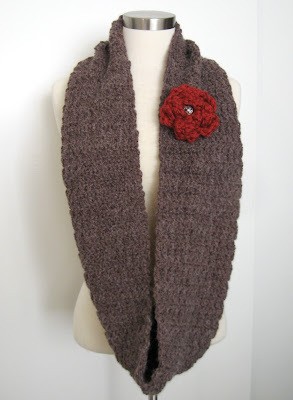 I'll just have to make one for myself. For next year, of course. Southern California's 6 weeks of winter has come and gone!